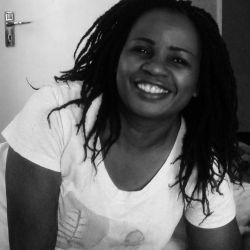 Janet Siringwani-Nyabeze was born in Zimbabwe. Using pastel, wax crayons, acrylic and oil paints, Siringwani-Nyabeze creates bold, vivid, and unapologetic paintings to articulate the abuse that women are subjected to on an everyday basis in Zimbabwe. In works like, The Scars of Emotional Abuse are Very Real and they Run Deep (2018) the artist uses rough gestural marks, harsh colours, and cramped compositions to convey a sense of struggle, one that is born from personal experiences of gender-based violence and the artist’s will to overcome. Feelings of pain and anguish are clearly visible in these paintings, where we see the human form wrestle for space. Heads are bent at uncomfortable angles, their teeth bared and eyes set in a dizzying display of robot-like circles and squares. At the same time, limbs protrude from a mesh of abstracted shapes and hard, triangular lines. It is hard to tell who they belong to but it is clear that, despite the frenzied weight of their environment, they continue to fight; hold off and hold up. What we see is a fight for survival and a way for the artist to deal with the effects of abuse. In so doing, Siringwani-Nyabeze presents an opportunity for recovery and a site of solidarity for others who are facing the same struggles. 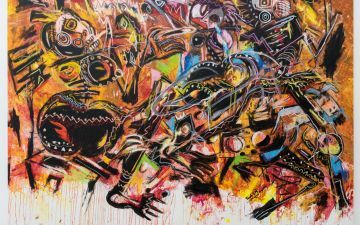 Exhibitions include Expectation: Pre-Election Selection and Line and Graphics at Gallery Delta, Harare (Zimbabwe: 2018 and 2017 respectively); Monkey Business at Tsoko Gallery, Harare (Zimbabwe: 2017); and the Zimbabwe Annual Exhibition at the National Gallery of Zimbabwe, Harare, themed Mharidzo (Zimbabwe: 2015). 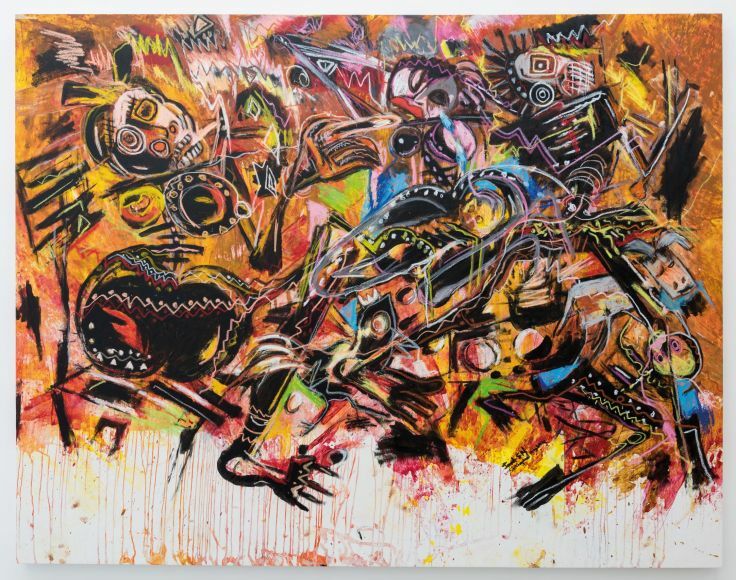 Janet Siringwani-Nyabeze work is featured in the Zeitz MOCAA exhibition, Five Bhobh – Painting at the End of an Era (2018 – 2019).